The inception of the e-commerce industry has given a paradigm shift to the way people shop. Online shopping has gained popularity due to many reasons, but one of the most prime reasons is that it offers utmost convenience and luxury to people. They have a wide variety of options to choose from and that too while sitting at home sipping their favorite drinks. Earlier, it was limited to desktops and laptops, but the immense popularity of mobile apps have made it obligatory for the e-commerce companies to design impressive mobile apps that are more streamlined, easy-to-use, quick to load and have an unparalleled user interface. As per the report by Business Insider, in the last quarter of 2017, 44% of e-commerce transactions came from mobile apps compared to 23% from mobile web and 33% from desktops or laptops. Even e-commerce companies such as Amazon, are integrating various new technologies with the mobile apps to tempt customers, to improve their processes and operations, to offer quality services to the users and to get a competitive edge over others. Let’s discuss some of the e-commerce trends we will notice in 2019 in the context of mobile apps. Just having a mobile app is not enough; you need to make certain that you keep trying to grab the attention of the consumers. A user might have multiple shopping apps installed in his smartphone and hence, you need to ensure that you employ some unconventional strategies to grab his attention. Offering personalized offers to the customers is one such strategy to keep his interest alive. Personalization was not possible earlier, but now, after employing Big Data, it is possible. Big Data gives you a deep insight into consumer buying patterns, past browsing history, past purchase patterns and other crucial details that can help you to create personalized offers for him. With Big Data Analytics, you can get detailed information about users and their preferences. This will help you to make personalized offers for them. 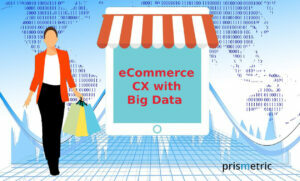 Also Read: How to Enhancing E-commerce Customer Experience with Big Data for Users across Devices? Search optimization is a technique that is already in practice and we will notice in the upcoming future too. Let’s understand it with an example. A customer searches for something on the mobile app, but the product is out of stock. It is not a lost opportunity for a marketer. When the product is available, the marketer can send a push notification to the customer informing about the availability. Encashing micro-moments of the customers and converting them in revenues is the new strategy that is trending in the e-commerce industry. There are many times when users turn to their mobile devices to find some information such as I want to do, I want to buy, I want to go and I want to know. Being a marketer, you need to keep a sharp eye on such details and then offer such customized notifications and offers to them to manipulate their purchase decisions. Here, brands need to ensure that they offer relevant results when customers actually want to buy products or services. Augmented Reality and Virtual Reality are two technologies that will transform the shopping experience of the users. 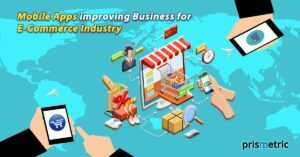 There are many giant e-commerce players have already started implementing these technologies in their mobile apps and reaping the benefits to a great extent. IKEA, one of the most popular furniture and interior suppliers has integrated image recognition and augmented reality in their mobile apps that highlight the products to the users in their mobile apps. In addition to that, with the new image-recognition technology, they can place the furniture item in their homes to check out the placement. Imagine a scenario where you can actually visit the showroom virtually without visiting the real brick and mortar showroom. The thought itself is a fascinating one, isn’t it? Well, the days are not too far when it will become a reality. In a short span of time, retailers will come up with such virtual showrooms where users can take a virtual tour and buy products. It will offer them a real-time shopping experience. There are many customers who still want to visit the physical stores. AR and VR technology will facilitate them this facility while sitting at home. Isn’t it intriguing? Integrating such technology on e-commerce mobile apps will give users utmost control over things they want to buy and brands will certainly earn the loyalty with such personalized and real-time services. Customers nowadays don’t like to wait, whether it is a delivery of products or a payment process. A survey conducted by the Mobile Ecosystem Forum depicted that 58% of customers have bought something on apps, but did not complete the purchase due to a hectic payment process. This is worrisome if your customers leave due to hindrances they face while paying. Marketers need to address this issue carefully and delicately manner. Amazon came up with an innovative one-click checkout option for users. In the recent future, we will see new payment options and processes that are quick, reliable and secure. Internet of Things is a term that has a very broad meaning. Generally, when two devices are interconnected through the internet or a network is called the Internet of Things system. It has revolutionized the world by facilitating devices to interchange the data and to perform tasks by themselves. If you have a device such as TV, speaker, laptop or a simple doorbell, you can use IoT technology to connect these devices to communicate with each other. Nowadays, most of the developers are coming up with IoT integrated mobile app development to provide a more seamless and superior experience to the users. One of the most tiresome things in the stock-based e-commerce business is inventory management. Improper inventory management is not at all acceptable in the cut-throat competitive era. With IoT, you can simplify the inventory management. You can use sensors and RFID tags to track the inventory with real-time updates. Also, all tedious details such as manufacturers’ names, IDs, batch types, expiry dates of the products and product types can be saved in the system effortlessly and automatically. Also, once the stock is about to finish, the system automatically orders it. Also, with the help of big data analytics, the inventory management can give you real-time insight about what to stock and in how much quantity by evaluating the past sales data. Warehouse management is also a crucial task for manufacturers. Temperature-monitoring sensors can be fixed in the warehouses to track the temperature of the warehouse and of the perishable products. Also, many companies like Amazon are coming up with warehouse robots to simplify the tracking and picking processes. These robots are capable of loading and moving the products worth 300 kg. Furthermore, with technologies such as Wi-Fi tracking systems, infrared foot-traffic counters, and digital signage integrated with mobile apps can give you comprehensive data to answer issues whenever needed. In recent times, more and more companies will use IoT technology to leverage those magnificent benefits it offers. Native mobile apps and mobile responsive websites were two ways you can shop from your smartphone. However, in recent times, two more contenders came into existence and gained worldwide popularity due to its sheer usability and superior experience they offer to the users. The main aim of making PWAs was to offer a streamlined experience to users by combining some of the best features of responsive mobile websites and mobile apps. PWAs have app-like interaction, superior speed and you don’t need to download them in your mobile like mobile apps. You will feel like you are using a mobile app, but actually, PWAs are just mobile web pages that load faster and offers a better experience to the users. One of the most amazing benefits PWAs offer is it does not depend on the internet connection. You can use it when you are offline too. 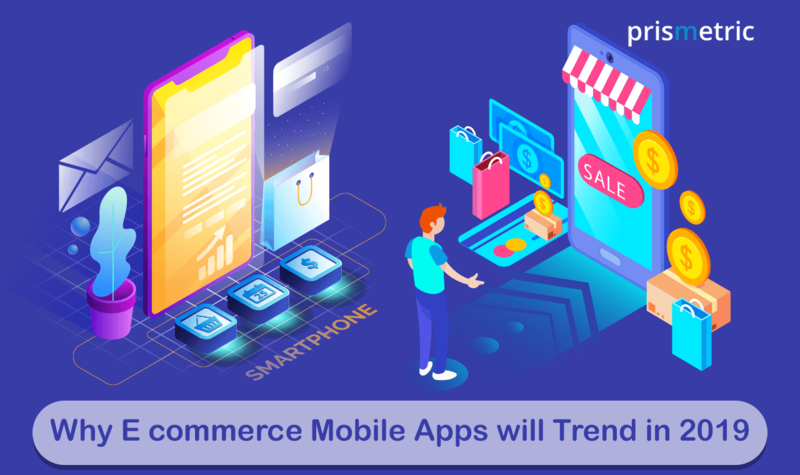 For the e-commerce industry, it is an opportunity to come up with such PWAs to give users access to the products and services even when they are not connected to the internet. 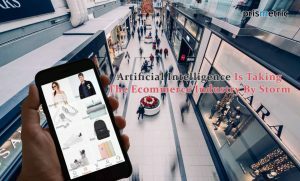 One of the most renowned e-commerce companies Alibaba has PWA. In addition to that, PWAs also offer some of the native apps features such as push notifications, location services, and camera and microphone access. Read About: Get your Business moving with Progressive Web Apps: Tips to Get Started and More! PWAs are not mobile apps, but Android instant apps are actual apps that are designed just like we design native mobile apps. Android instant apps can be shared via links and can be accessed for limited features associated with the app. If you want to use the rest of the features of the app, you need to download the full version of the app. Android instant apps offer a similar feeling of using the actual mobile apps. In fact, you will not find any differences. PWAs and android instant apps have many similarities: both have a simple interface, both can be accessed without downloading and can load faster. We are likely to see more e-commerce companies introducing PWAs and Android Instant apps for customers. Customers don’t like to wait for products or services they have ordered. A poor or late delivery service might make it very difficult to retain the customer. Hence, in 2019, you will certainly see companies with better, quick and innovative delivery options that can lessen the delivery time and offer instant gratification to the customers. In fact, Amazon is planning to come up with a drone delivery system called Prime Air. The service was launched in 2013, but due to many technical hindrances, it has not seen the sun yet. However, recent developments surely point out that the service might start in the next year. The e-commerce industry is booming at a rapid rate and marketers are more enthusiastic to grab the huge potential from this lucrative segment. Mobile apps have played a significant role to give this boom to the industry. Having a responsive e-commerce mobile website is not enough today, if you don’t have a mobile app, you need to develop eCommerce mobile app one or you will be left behind. If you have a mobile app, you are likely to get more loyalty from your customers. Also, it offers a pleasant and highly personalized experience to the users. Optimization in any form is beneficial, he believes. With the heart of an analyst, he has a keen eye on the terms that will actually sell. The deeper he researches the better the output will be, he reveals. 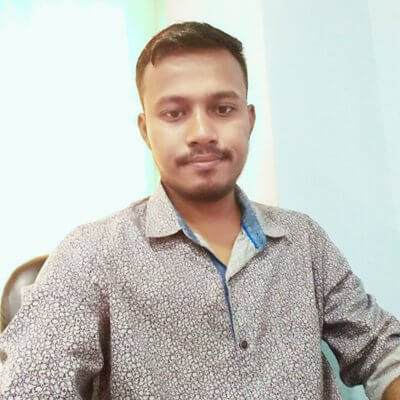 While optimizing websites, he spends ample time in blogging his thoughts about interesting tech stories, strategies, and technologies. He eliminates his inferences but includes the facts to nourish his readers with information.